As the EUth project draws to a close, what’s the future for eParticipation and where next for this exciting and innovative democratic process? 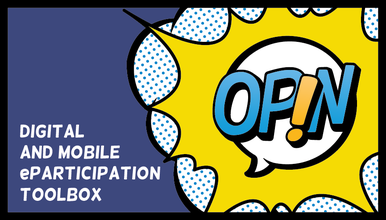 The project, funded by the EU Horizon 2020 research and innovation programme, has got more young people involved in political decision-making, also thanks to OPIN, an all-in-one digital and mobile participation toolbox specifically developed by EUth for youth eParticipation. Among the successful pilot projects carried out and the many goals achieved, there are yet more challenges lying ahead. 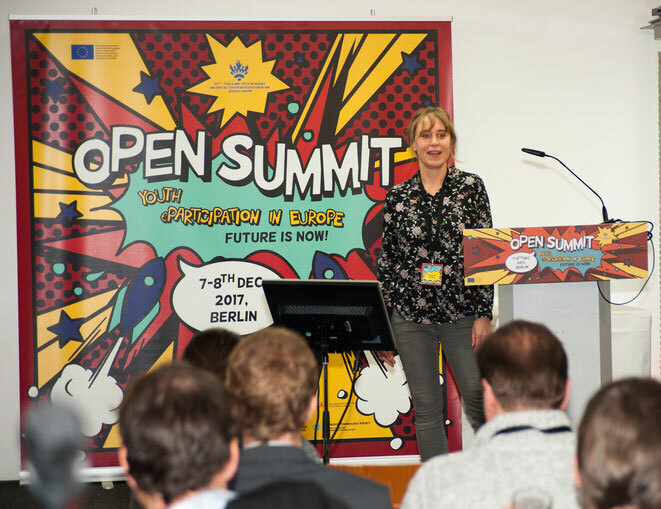 We interviewed Kerstin Franzl, part of the Nexus Institute for cooperation management and interdisciplinary research and EUth coordinator, to discuss the achievements and the future scenarios of EUth and digital youth participation in general. Why was the EUth project created? There are specific reasons why eParticipation is not fully developed yet. In fact, its potential is not being fully exploited, and we wanted to tap into that potential. Our starting point was to enable initiators of participatory processes - by this we mean youth workers as well as the youth itself - to start their own eParticipation projects. They normally have three problems when it comes to participatory practices: first, they don’t have a tool, so with OPIN we developed one. Second, they don’t know enough about youth participation, and we all know that when there is lack of knowledge you make mistakes, there are only a few people actually participating, and the risk of failure is much higher. That is why we developed support, guidelines and much more to empower people who are not experts yet, so that they would dare to initiate projects. A third aspect, of course, is the lack of economic resources: when you don’t have funds, you cannot hire an expert as you would normally do, people need to do it themselves. So another issue for us was to try to make it affordable, so that people could get active in first person. What objectives did you achieve? In terms of what we did, we released different versions of the OPIN platform, and with every release it was evident that the tool was getting more mature. In the beginning, when we first founded the platform, it didn’t work at times, there were bugs everywhere… but it got better and better, and now that it’s really getting to a point where you can use it, it is really amazing. The open call, of course, was a major thing, we often had workshops with experts and with young people to get their opinion and hear what the real problems were, so we could address them in the guidelines. I would say that these were the real highlights throughout the project. We gathered a lot of feedback on the technical and also organizational side, and we also had user journeys to see how people were clicking through the platform, to improve the navigation structure. “Missions Publiques” was in charge of getting the feedback and condensing it, which was then sent to Liquid Democracy, who was implementing it technically. What is the relevance of EUth and eParticipation today? From a global perspective, the funding that we received from the European Commission is a proof that the topic of eParticipation is important also on a higher political level. The EU is really investing in the development of new participatory infrastructures, and also in terms of political innovation, finding new ways to integrate young people - and not only them - in the political process. You can see that all around, there is more and more happening in terms of innovative strategies to get young people involved, so many projects are going on… the whole field is really moving. We can also see that at the EUth and OPIN level, there were requests coming in all the time from organizations to use the platform, so it is not only a top-down process, but there is also a growing need and demand from below. For OPIN and EUth now it is very much a practical question for us, that is how to carry on with the software. The problem that we have now also reflects a bigger issue that eParticipation has more generally - funding. Right now we are actually where we were before in terms of economic resources, yet now we have to survive in the market. There are programmers and real people working behind the platform and they need to make a living, so it is essential to have some revenue, otherwise we won’t be able to maintain the platform. So for us now it is a question of how to sustainably provide the tools and the services, and how to make it profitable. We could not think of getting money from youth organizations, because they do not have those resources. Moreover, establishing a ‘selling’ relation with the users somehow “destroys” the entire idea you were working for. At this moment our approach is to find sponsors, which is something that we will be working on in the next months. We will see if that turns out to be the solution. We still need to finalize our strategy, and once we have done that we are planning on being very transparent about the entire business mechanism, so that the audience can support us even more. The public’s support will be essential, as this is a cooperative undertaking, we cannot do it alone. What constitutes the biggest challenge for eParticipation in general? There are many more questions, but as far as the provision of tools is involved, it is very much a question of how to bring together two systems that are not really fitting, the idealistic aspect and the financial one. This is true not only for OPIN - if you ask youth workers, they have a million ideas on what to do for young people, but they do not have enough funding. Another big question is whether or not the governance structure at all levels is ready to not only say that they want to promote participation, but that they really want to work for it. As a matter of fact, if you are not really willing to take into account the voice that you just gathered, the entire participation process is kind of done in vain. So is there a way forward? What we are talking about here is a cultural shift, passing from a representative and top-down kind of democracy to a bottom-up and open one. Of course, it is a long term thing. It has started and you can see all the enthusiasm around, but it has to get in the heads and vision of decision-makers, and at that level there is still a lot to do. We can have best practices and many examples to support this process, but in the end everything is really in the hands of decision-makers. It has been proven that you cannot do big development projects without participation by civil society, because there will be demonstrations and you lose a lot of money if you don’t involve your citizens - young citizens included. I am still positive, because they are being pressured right now about this, so I think that eParticipation will happen more and more in the future. 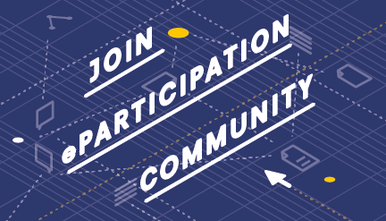 What advice do you have for those who want to work with eParticipation? In every field, whenever you are trying to create or develop something, I would strongly recommend to always try to put different perspectives together and to work together right from the beginning with those who are going to use your tool afterwards, because otherwise you might just do something that is not relevant at all. That would be a pity, because eParticipation still has a lot of opportunities for growth instead.